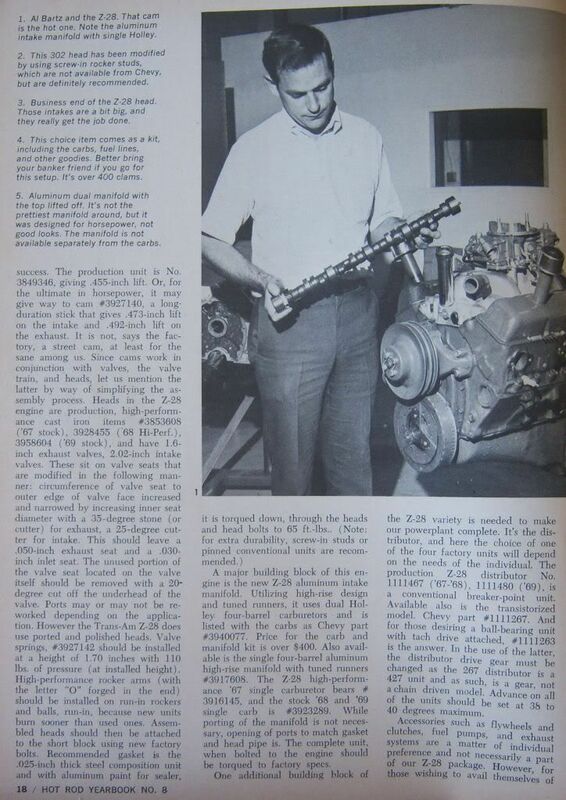 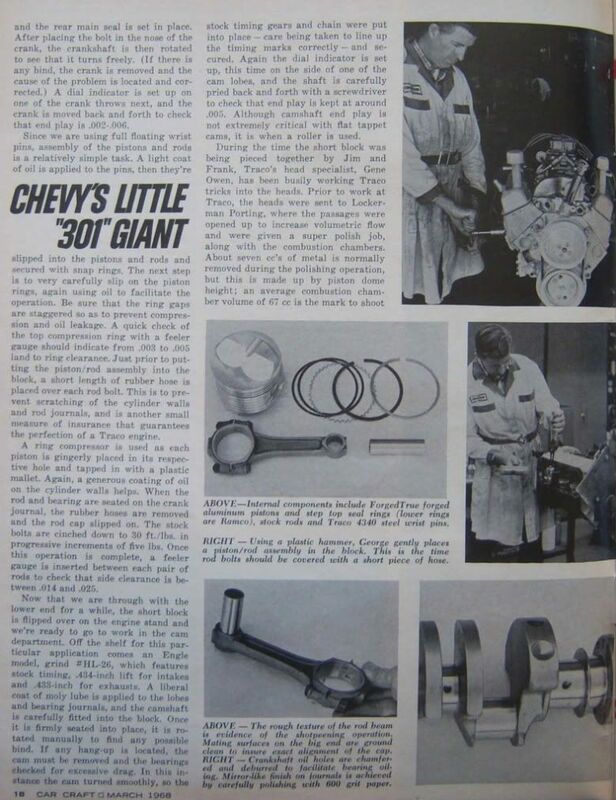 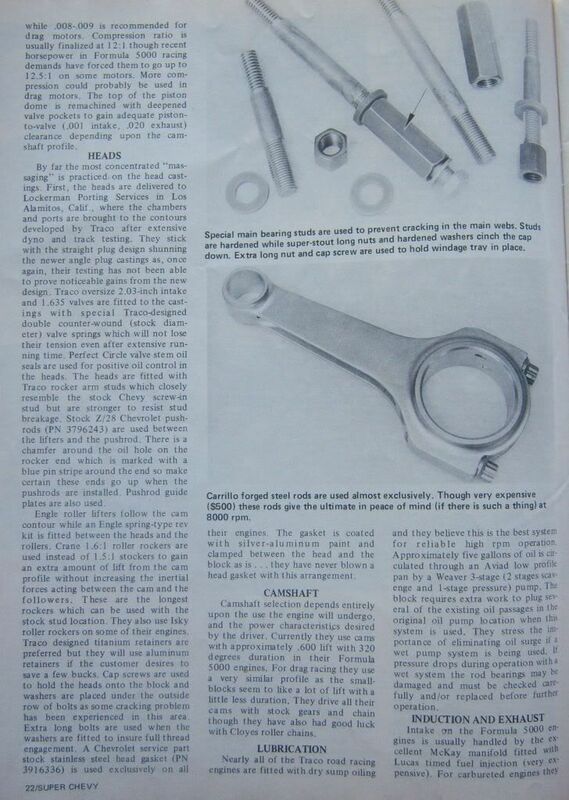 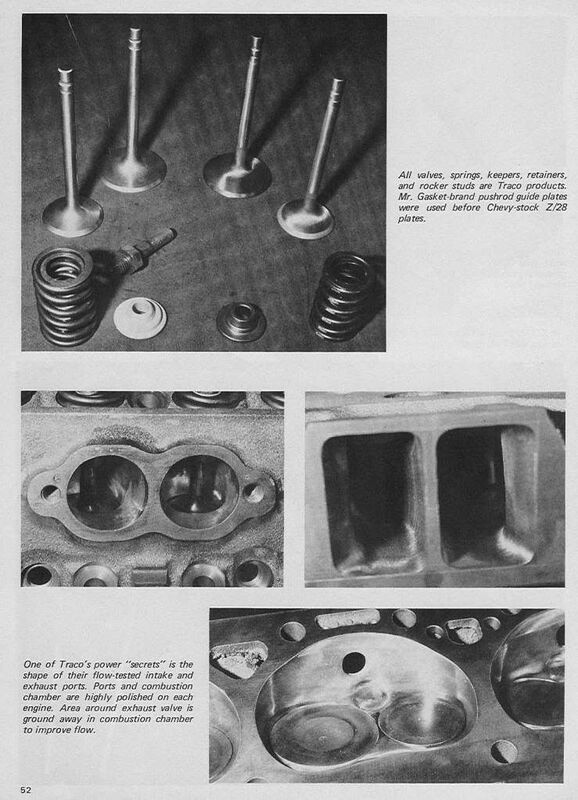 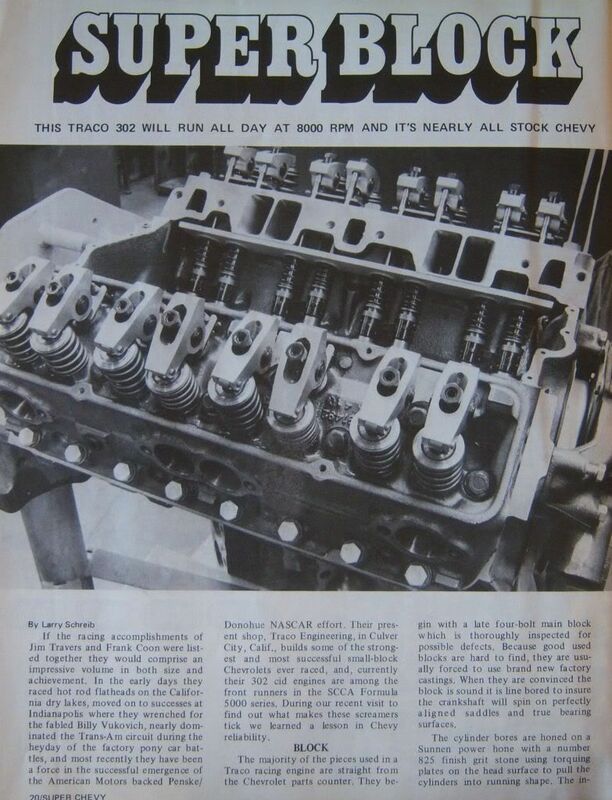 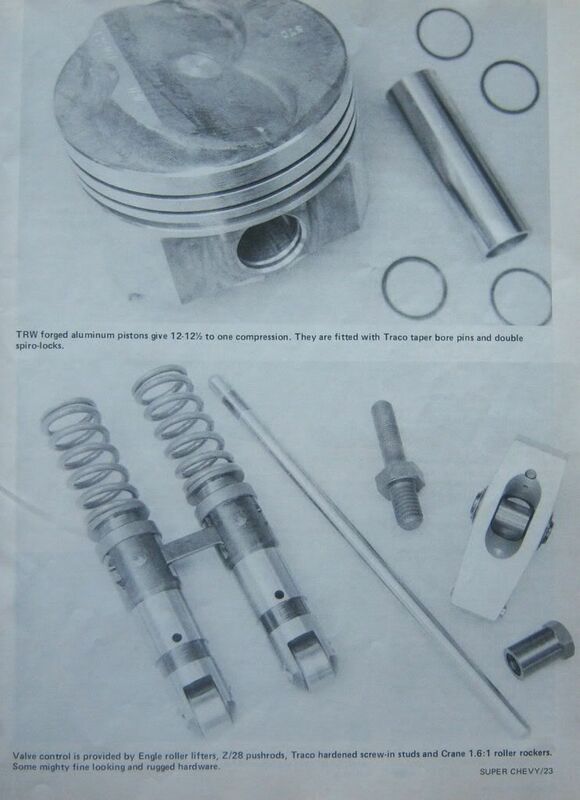 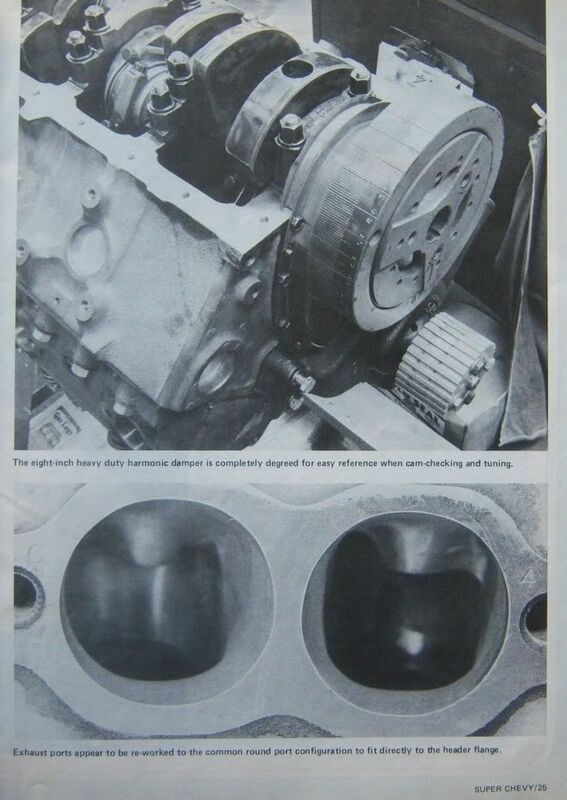 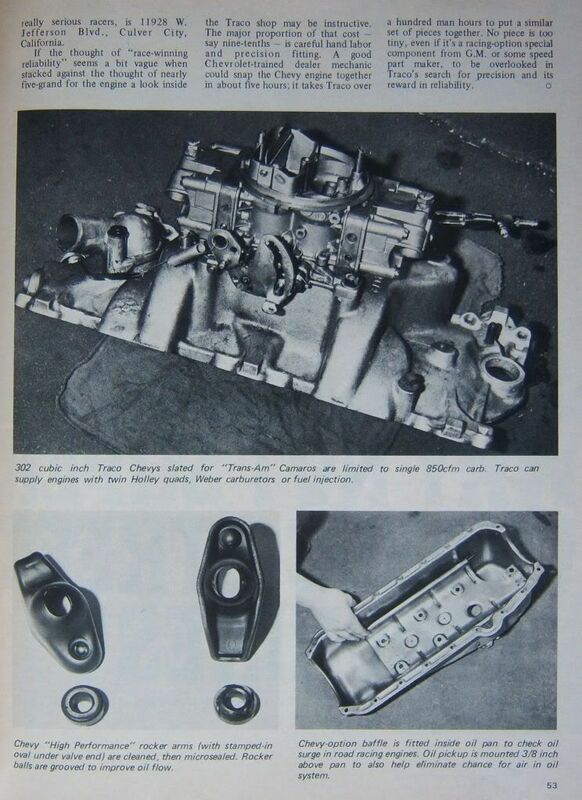 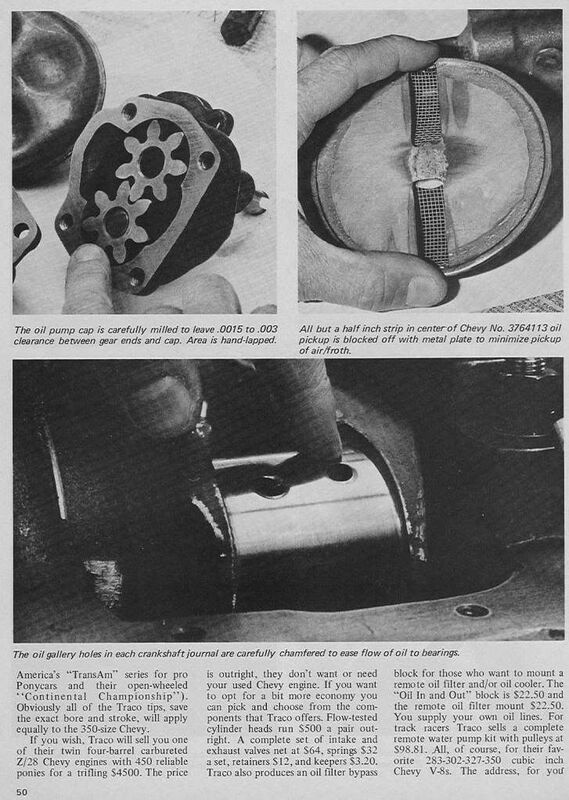 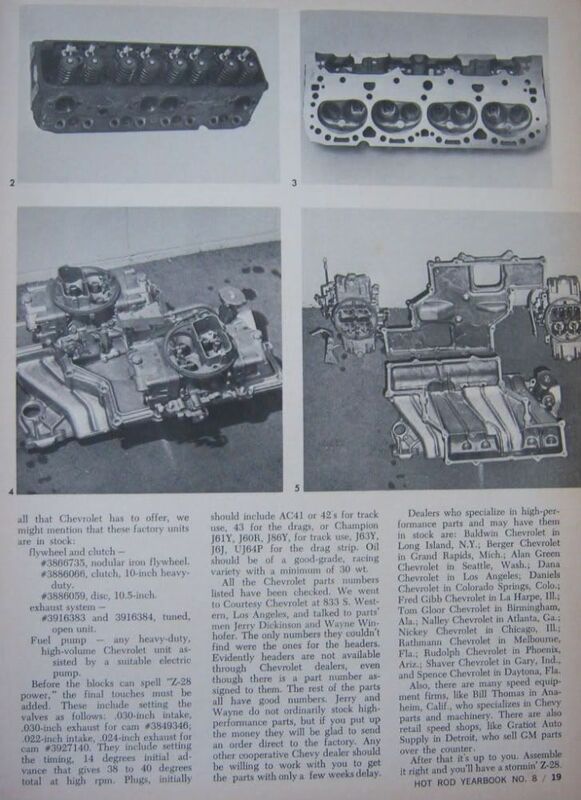 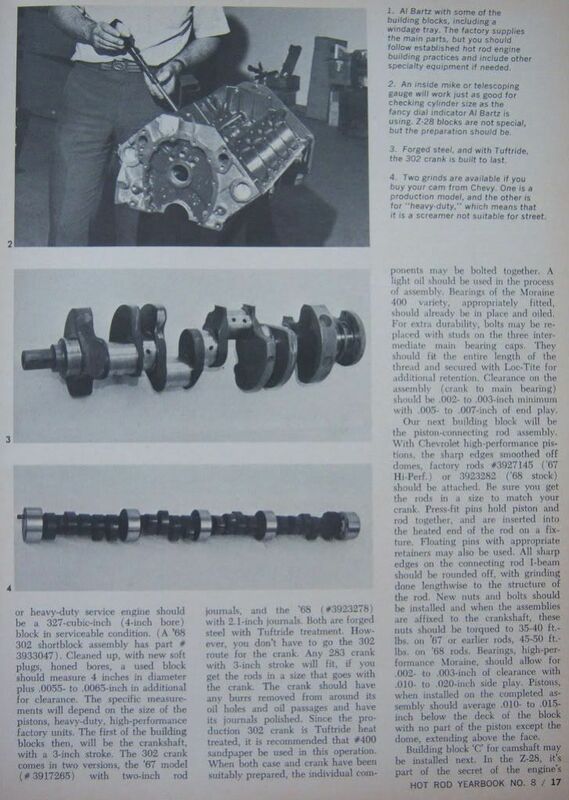 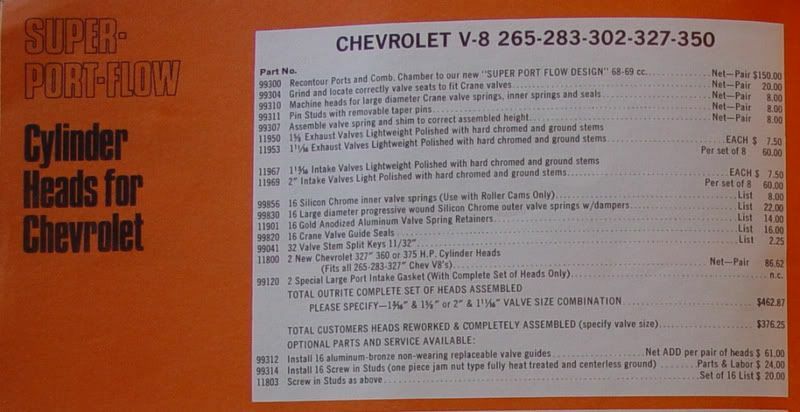 Here's a build-up by Traco Engineering from the Spring 1973 issue of Super Chevy. 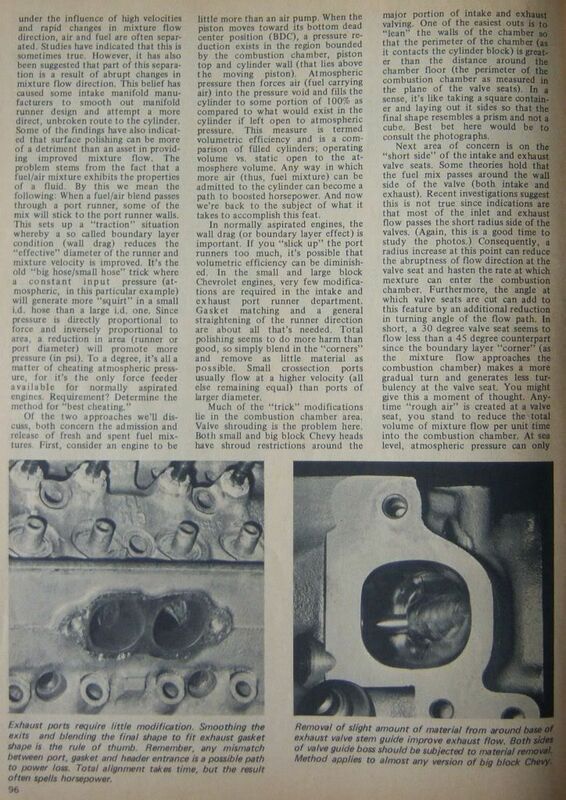 From the August 1970 issue of Motorcade magazine. 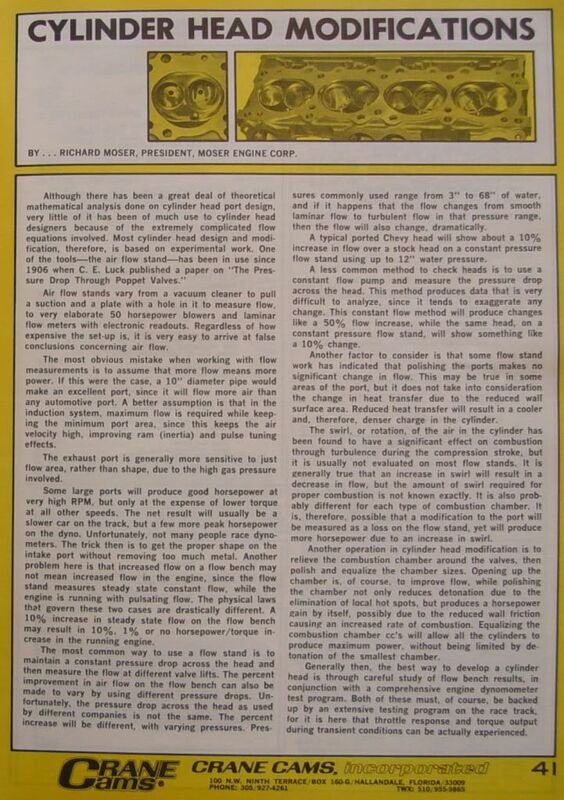 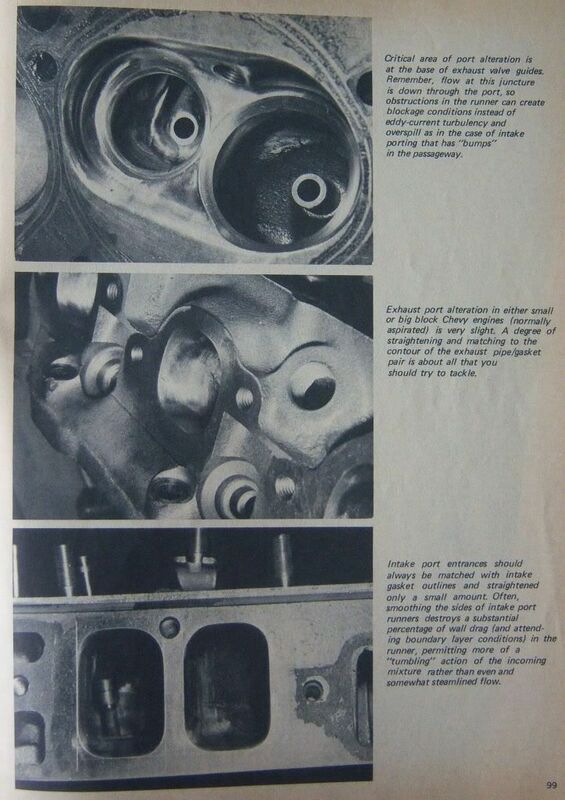 very interesting stuff, i wonder if our resident engine guys are reading this, i would imagine not much has changed over all these years, thanks for the new section, great work. 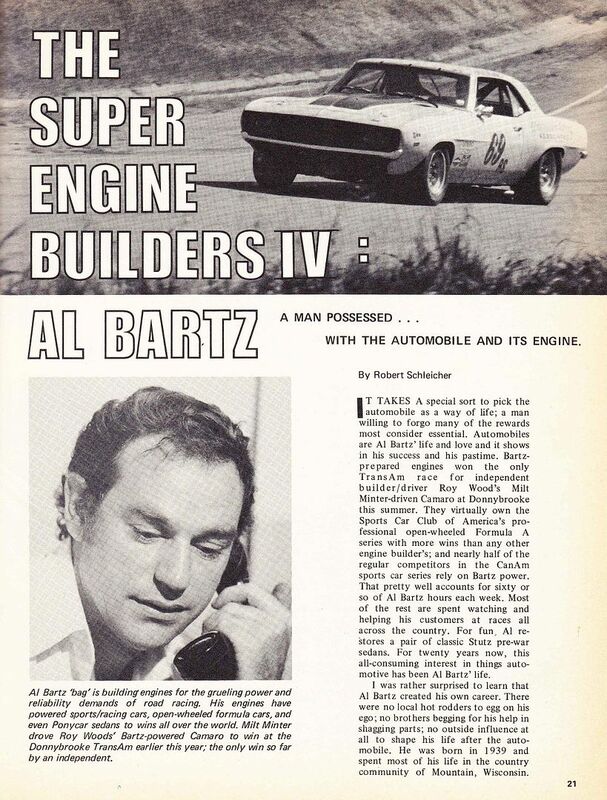 There is a whole chapter on Al Bartz in Phil Henny's book, "...Just Call Me Carroll...!" 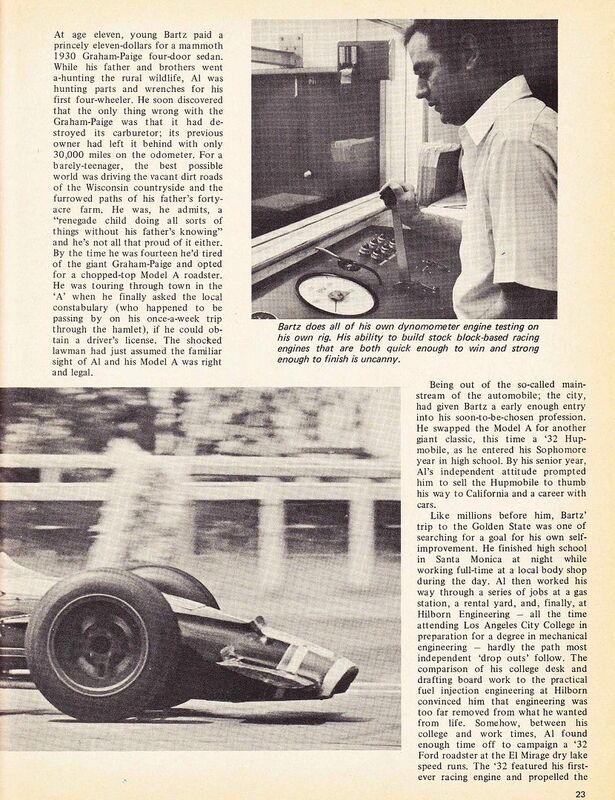 Good news in the thread about Phil Henny working to write a book about Al. 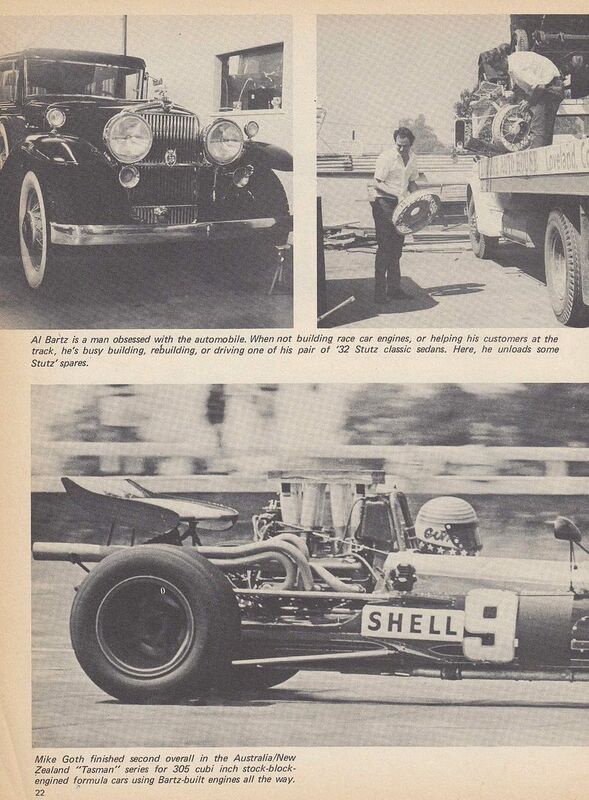 An article from early 1969 with Al Bartz in it. 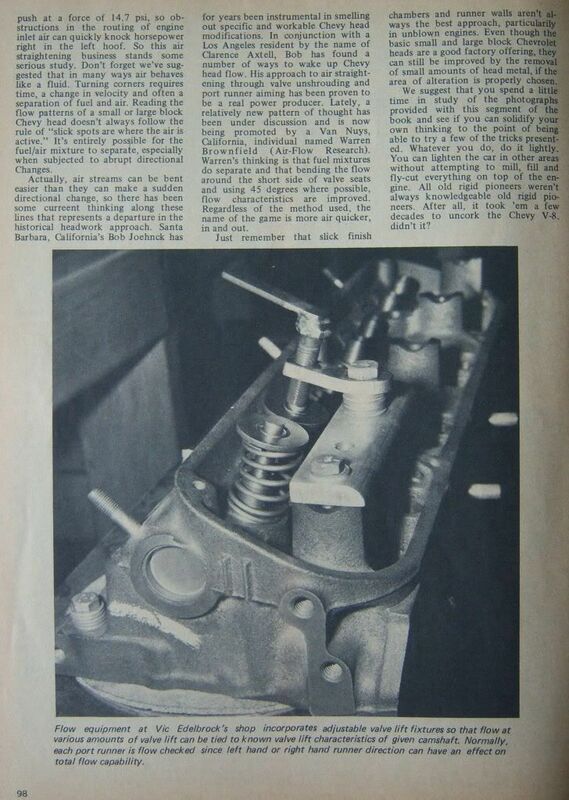 March '68 Car Craft article on Traco "301". 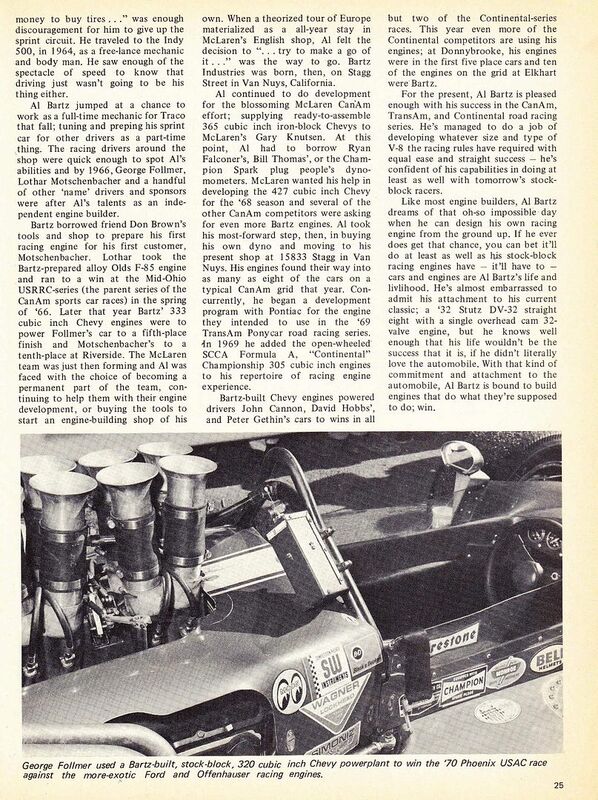 Note the Bill Thomas header. 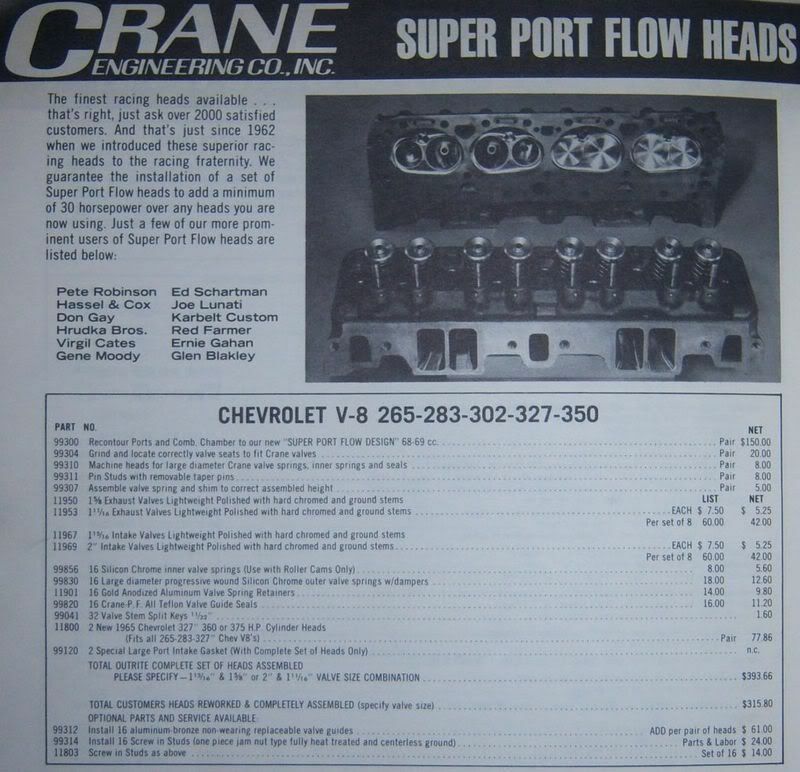 Jere Stahl did not ship his first set of headers to Penske until June 1968. 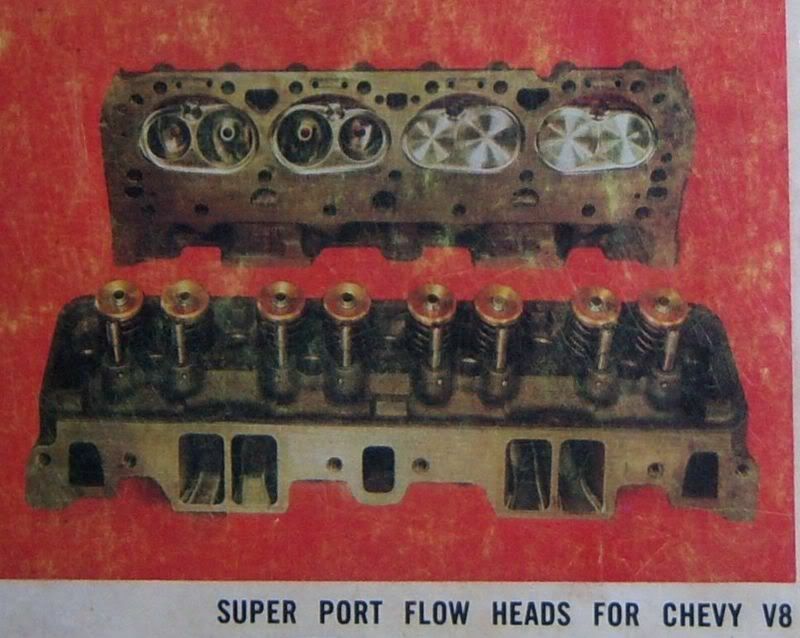 Our humble team never had any fancy Traco or Al Bartz engines, but we did at one time have a set of headers from Jere Stahl. 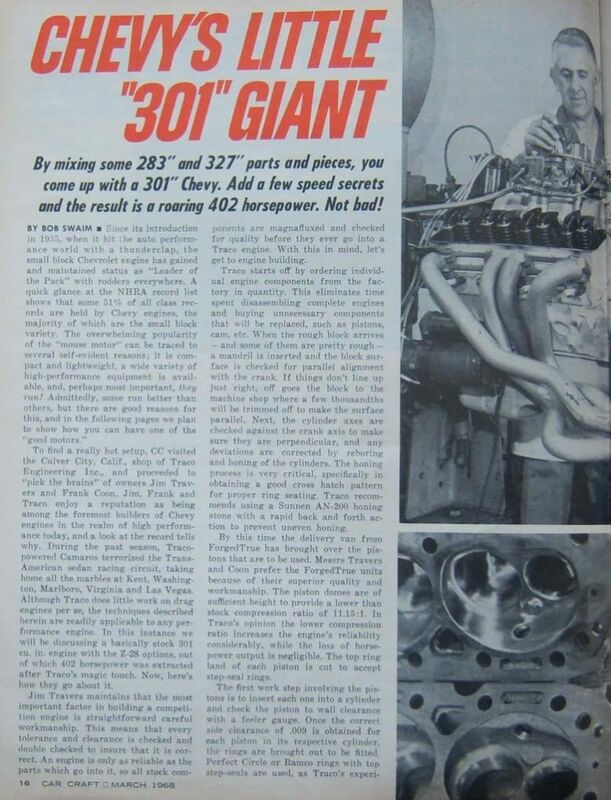 I understand that in to-day's vintage race world a 302 Chevy can make almost 560 HP in an historic T/A car - seems unreal. 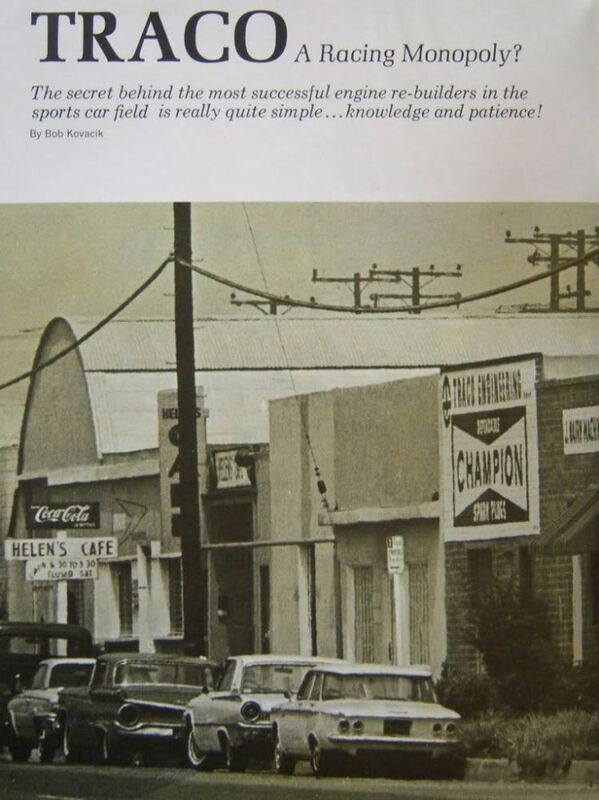 I wonder what those 32 Stutz cars that Al had would be worth to-day? 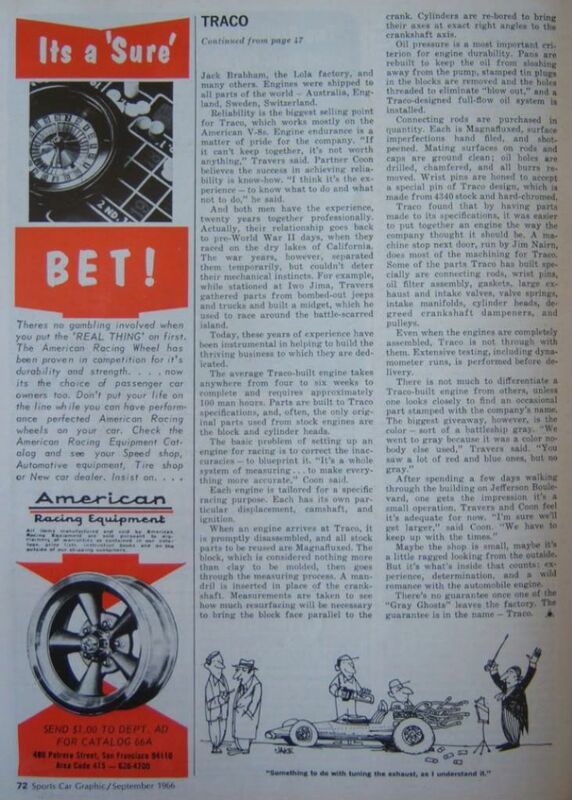 No idea on the Stutz's as I don't follow them but just by looks and name recognition, it would seem like they would be a 7-figure car. 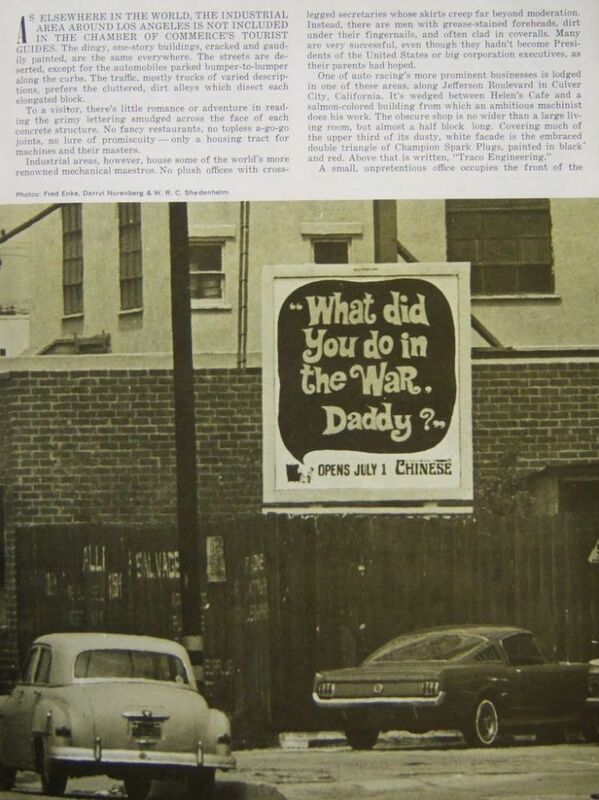 Just a guess. 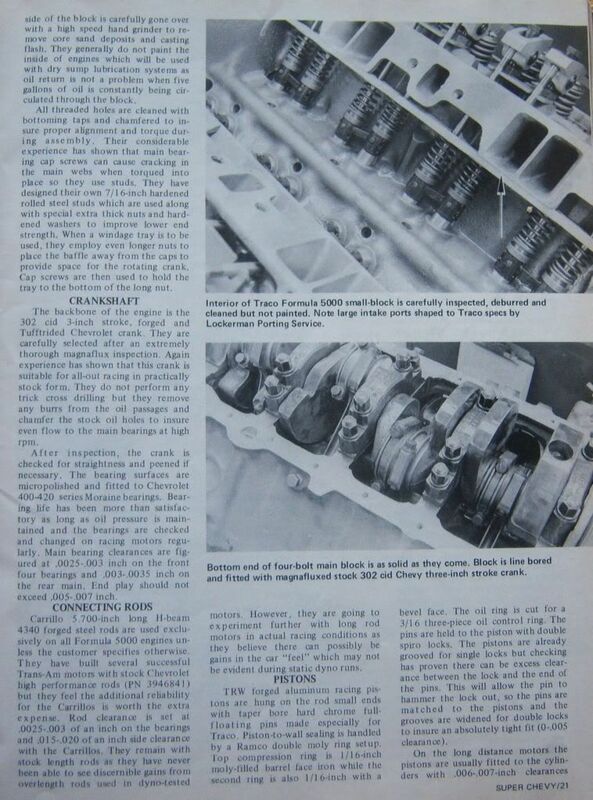 I have heard similar horsepower numbers for some of the top engines in Historic Trans-Am vintage racing. 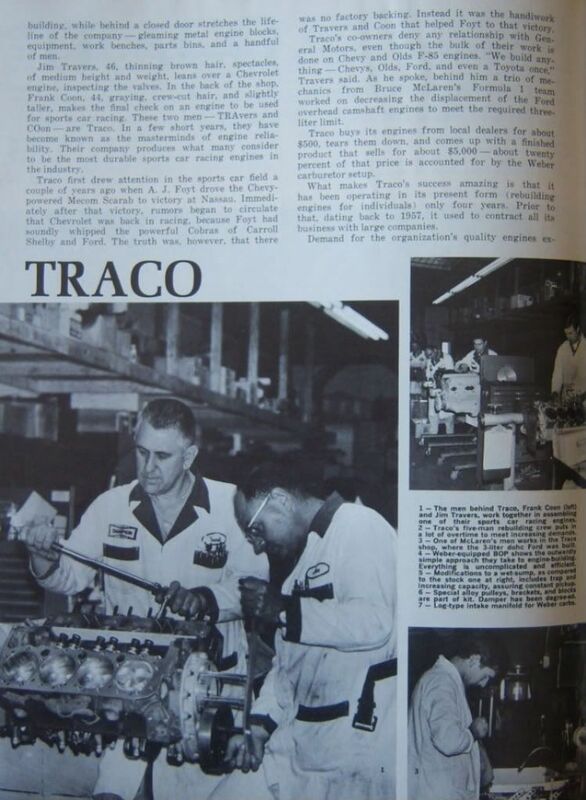 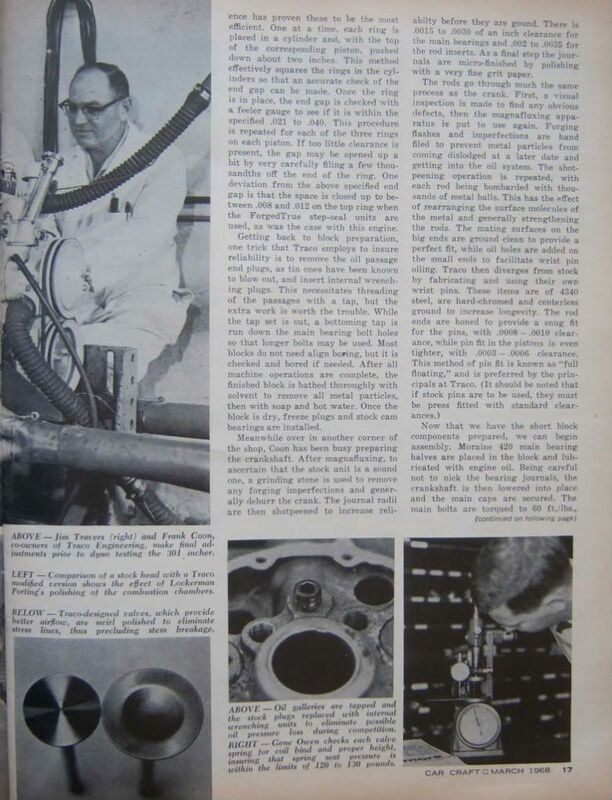 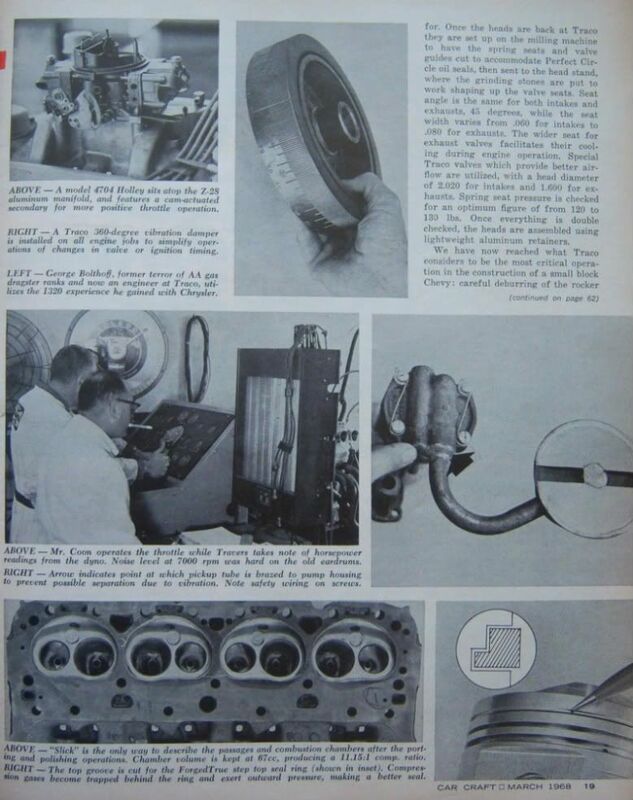 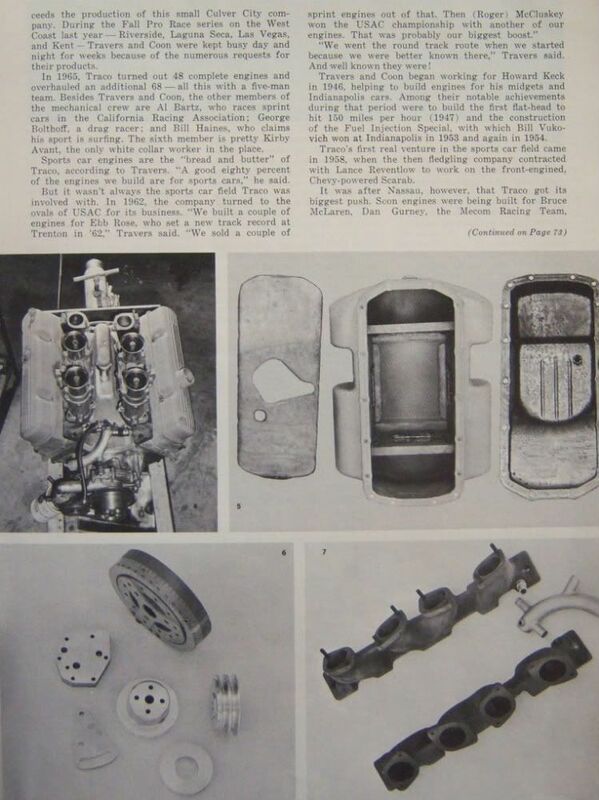 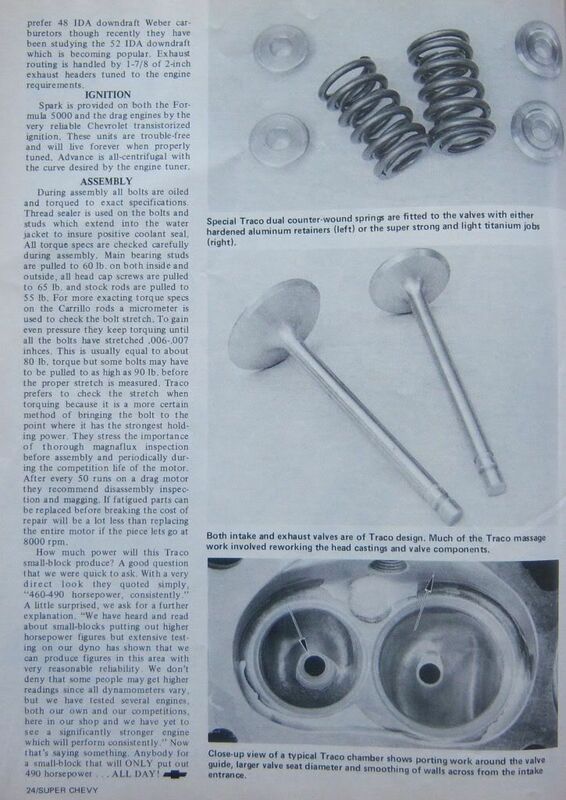 Not that much of an engine building article, per se, but provides more historical information on Traco. 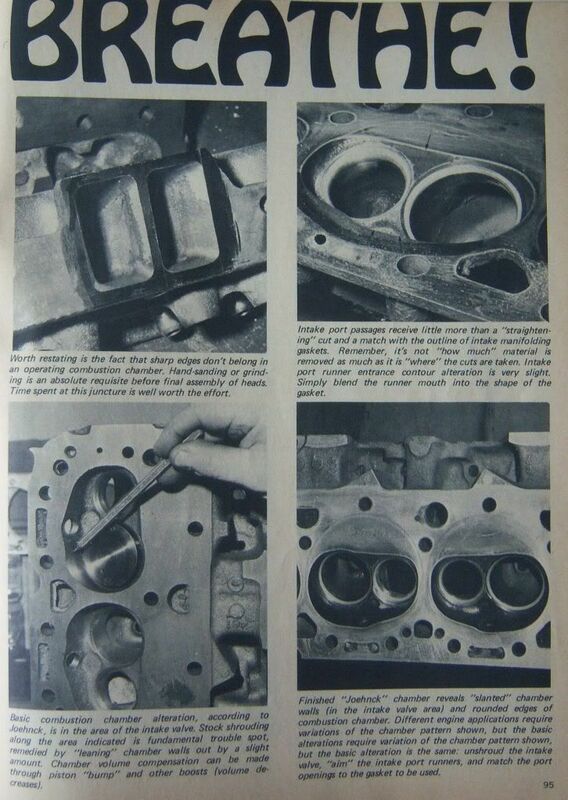 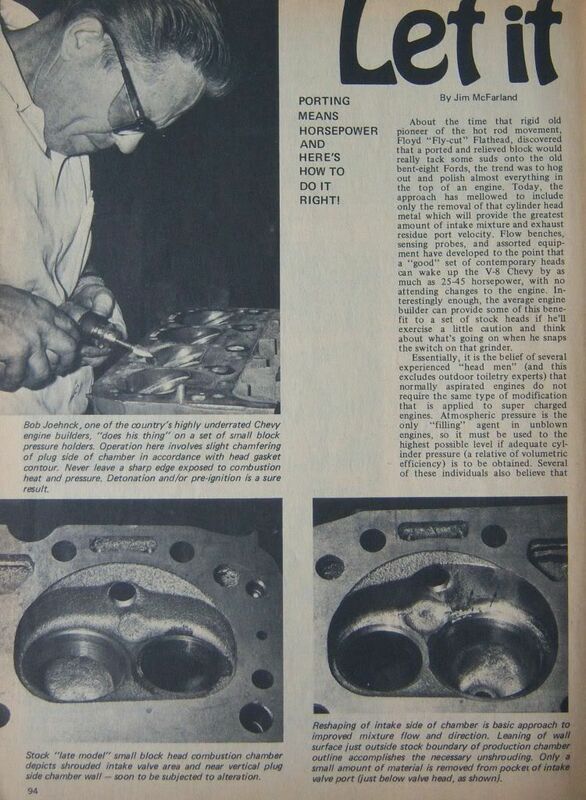 One of my engine building heroes, Bob Joehnck, showing how they prepared racing heads back in the day. 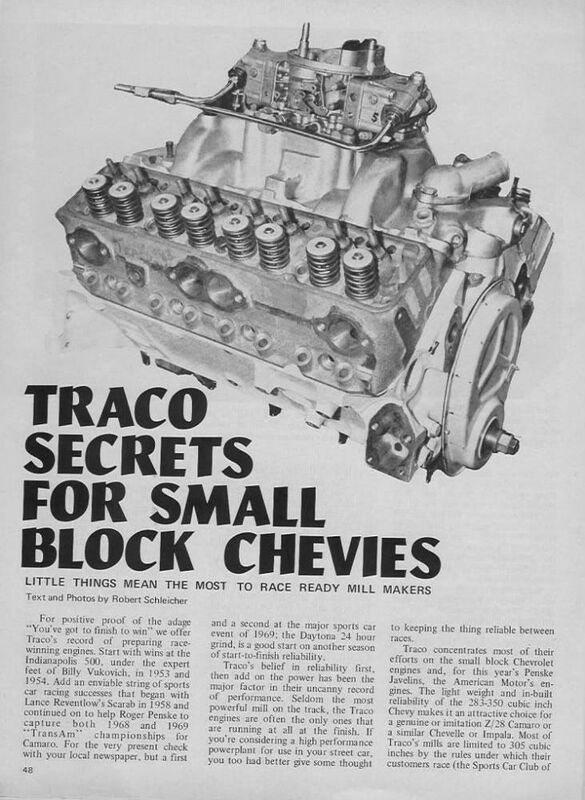 Traco and Bartz engines of the day. 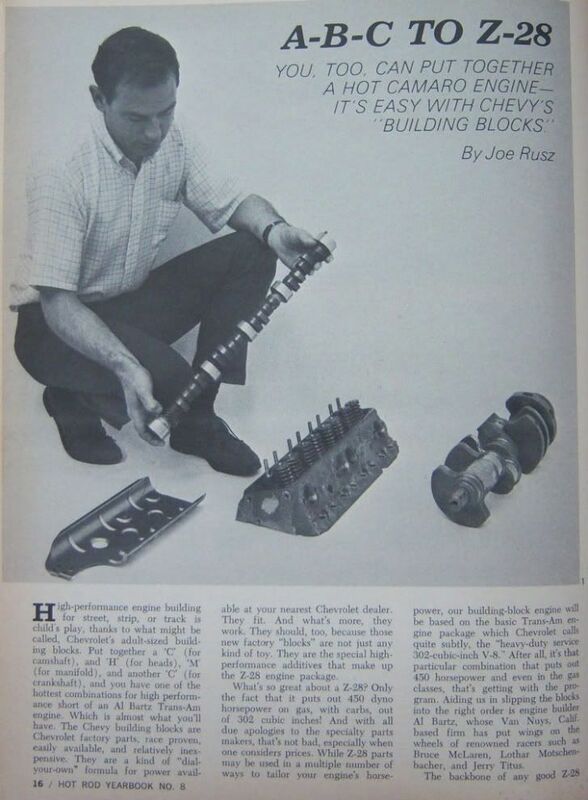 I'm using on my '67 race car. 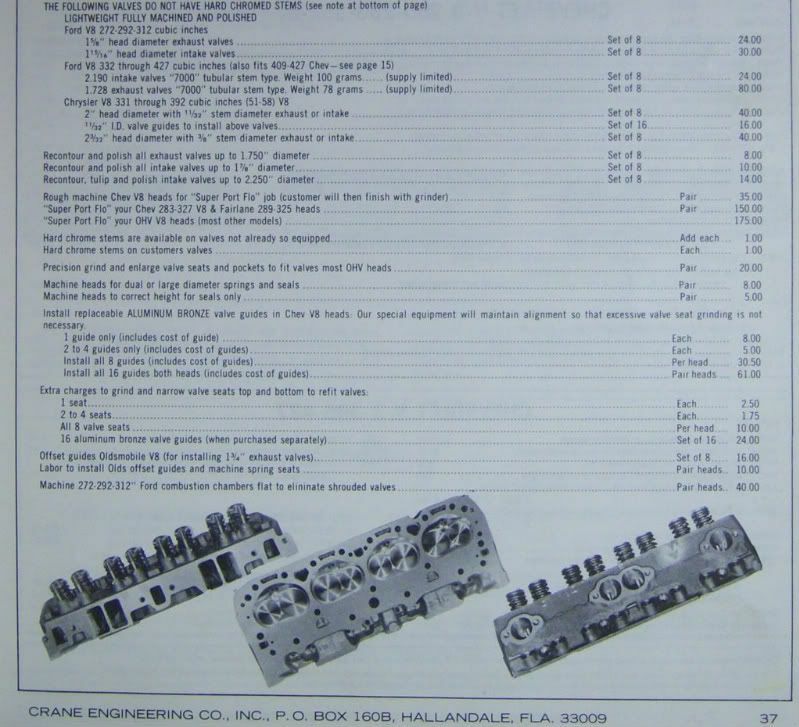 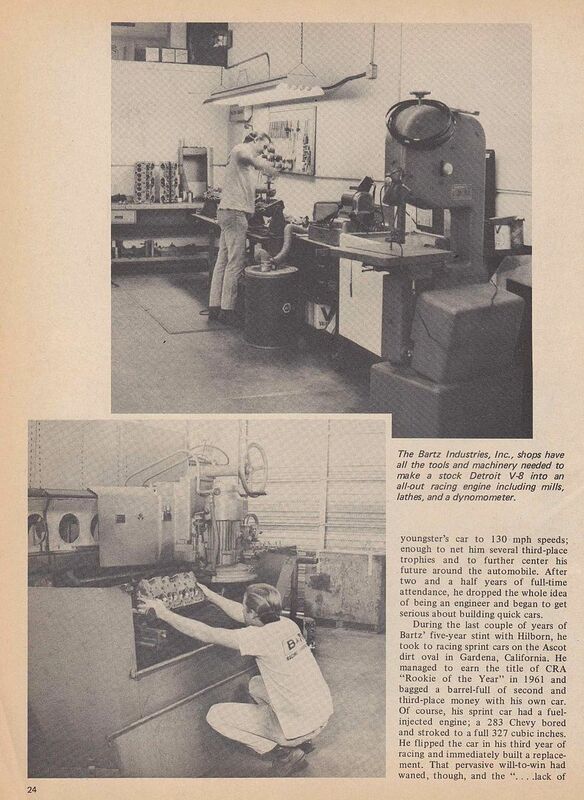 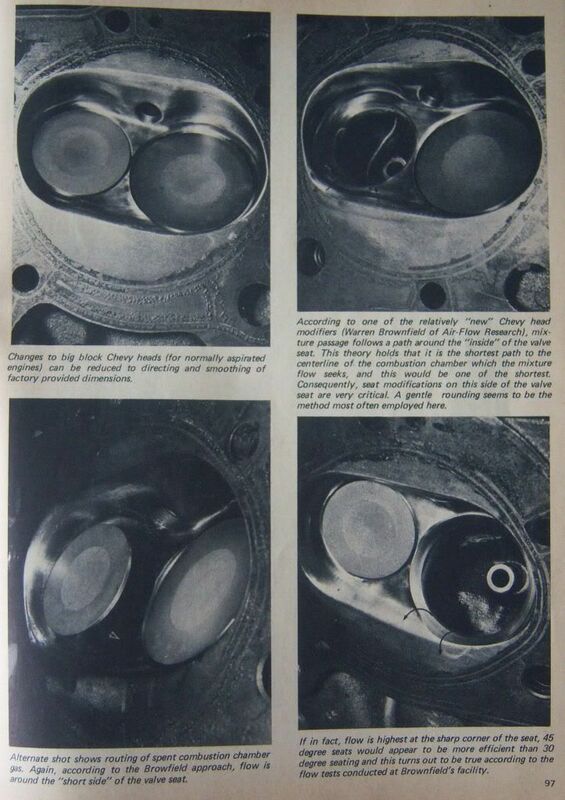 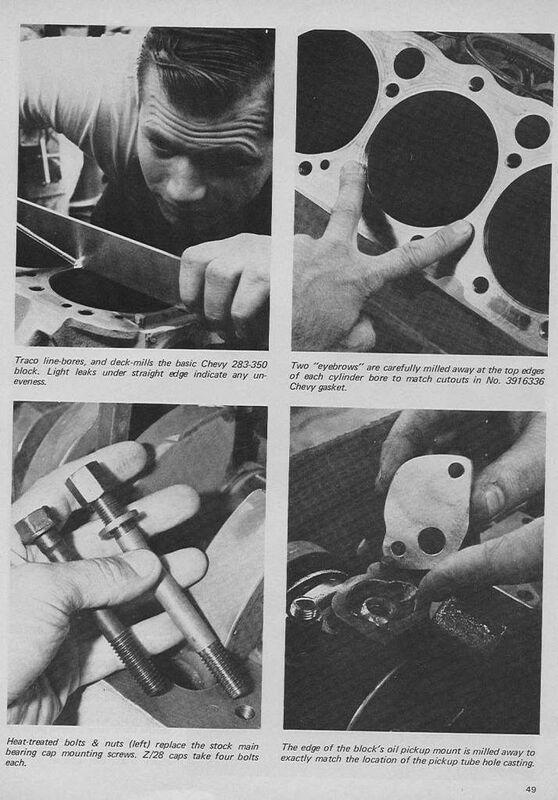 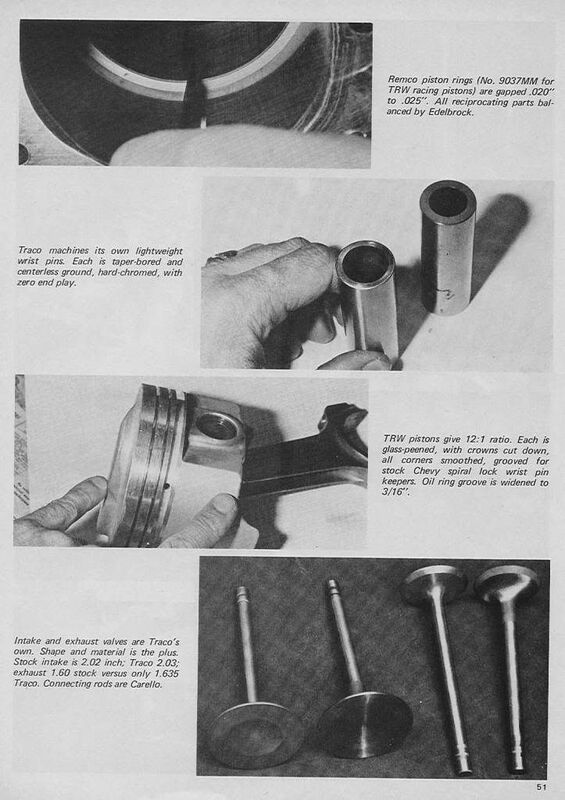 These pages are from the '67 Crane Cams catalog.